NOT only can we hope for the fulfillment of the Triumph of the Immaculate Heart, the Church has the power to hasten its coming by our prayers and actions. Instead of despairing, we need to be preparing. We are not helpless bystanders. 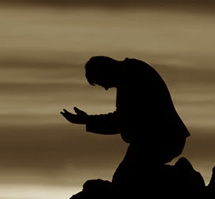 Our Mother is calling us in a continual maternal plea to “pray, pray, pray”— to pray, in effect, for the coming of the Kingdom as Our Lord taught us, first within ourselves, and then the world. Pope Benedict’s insight that ties the “middle coming” of Christ to a reign in His saints—in “new witnesses”—is the real key to understanding “what I must do” in these times. And that is to “empty” myself to make room for Jesus, to pray that He reigns in me. …then the reign of Jesus has come! Then all around us the world begins to change in some way, even if that “world” is simply our spouse or fellow workers or classmates. This reign may not always produce peace—it might even produce “war”, since those who oppose the demands of the Gospel will resist it (hence the reason that, at the end of the “era of peace”, St. John writes that Satan turns the nations against the reign of the Church; cf. Rev 20:7-9). Nonetheless, we pray for the Kingdom to be “brought near,” not with self-serving intentions, but in order to bring justice and peace to a torn world, insofar as we can. In fact, this is our duty and mission: to pray that Christ’s reign in our hearts will have its exterior impact through the authentic witness of holy charity and transform the temporal realm, even before His final return when He comes in glory. But how does “heaven” come to us? When we make space for God in our hearts, God begins to reign in the space around us. Thus, to become “like a little child” and allow God to make you holy is the beginning and fulfillment of the Triumph already within you. I will explain practically how do to this at the end of this meditation. 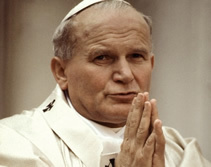 John Paul II explained what these errors are at their core: Marxism. This form of Marxism is nearly completed in terms of being implemented on a global scale. cf. Global Revolution! 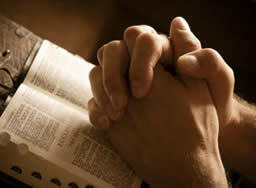 The delay of the Triumph, which is the delay of the growth of the Kingdom of God, is likewise, creating a vacuum cf. The Great Vacuum being filled by the growth of the kingdom of Satan, as Our Lady warned it would. Thus, what are the antidotes that Our Mother asked for? I shall come to ask for the consecration of Russia to my Immaculate Heart, and the Communion of reparation on the First Saturdays. If my requests are heeded, Russia will be converted, and there will be peace. 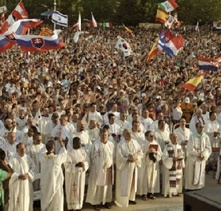 Pope John Paul II convoked all the bishops of the world in 1984 in a consecration of the world to the Immaculate Heart of Mary. There, the pope anticipated that the Triumph would bring about, not the Second Coming per se, but “once more in the history of the world” a divine intervention that would see a “period of peace” come about through the Church. Without wading further into the debate on my part, which has clergy deeply divided on both sides, what is certain, is that Fatima is not finished. 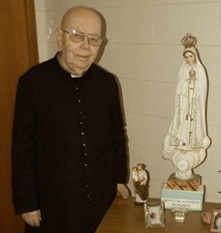 The prophecies of Fatima… let me tell you what I think about them, by quoting Pope Benedict XVI: “Whoever thinks the mission of Fatima is concluded deceives himself.” Look at the importance of these apparitions! Look at the damage and collapse we have experienced in the Church… Let me quote Pope Paul VI: It was thought that after the Second Vatican Council we would have a renaissance of the Church, but instead it was a disaster! Within the Church, “the smoke of Satan” has entered the Vatican! 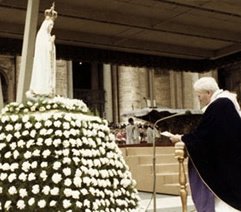 It was a disaster, among the clergy, within the liturgy and among the faithful as well, who have lost faith and abandoned their religion by the millions… So the apparitions of Fatima continue. But their end is glorious. And in the end, “Russia will be converted. [The] Immaculate Heart will triumph. It has not triumphed yet. It will though. And the world, it will receive a “period of peace.” So here’s the great ending of the apparitions of Fatima. Before this finale, it is probable that mankind will suffer—suffer some kind of chastisement by God due to their sin and their cold hearts. But we’re not facing the end of the world, not as some crazy men are saying. We’re going towards the Triumph of the Immaculate Heart of Mary, and also, we’re going towards a period of peace. —Ibid. There is also a divide in the Church over Medjguorje, whether or not this apparition site is an authentic manifestation of Our Lady’s presence. And so I write here in the spirit of St. Paul who commanded the Church not to “despise prophetic utterances” but to “test everything.” cf. 1 Thess 5:20 I bring Medjugorje into this topic of the Triumph because I find it untenable to ignore the Holy Father’s comments in this regard. Every bishop must prepare his diocese, every priest his community, every father his family, because Gospa said that also lay people must consecrate themselves to her Heart. —Ibid. Personal consecration to Jesus through Mary is one of the most powerful gifts available to us today. I have written about this in The Great Gift. 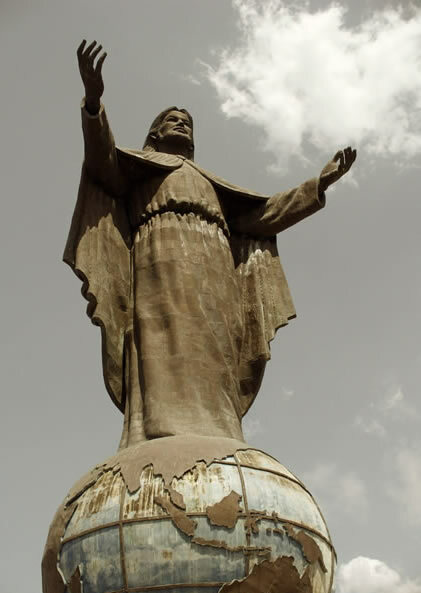 How does Medjugorje relate to the coming “period of peace,” if at all? 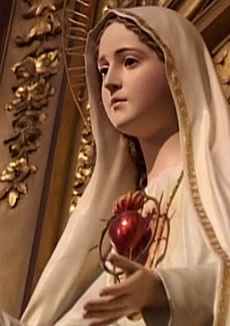 One of the highest forms of prayer, the one Our Lady of Fatima recommended to be said daily, is the “Rosary.” It is truly the “school of Mary.” When one learns to pray it with the heart, and thus listen with the heart, it should lead one into deeper union with Christ. Confession is a powerful Sacrament that reconciles us again with the Father and restores our unity with the body of Christ. 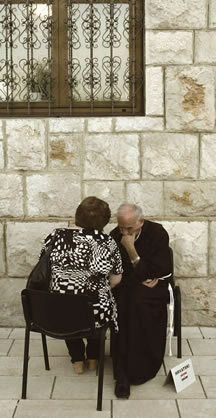 Moreover, the Sacrament of Reconciliation facilitates healing grace to transform, strengthen, and support the soul to turn away from sin and be set free from the power of evil that the soul struggles with in the course of daily life. Pope John Paul II strongly recommended “weekly confession,” which for me personally, has been one of the greatest graces in my life. 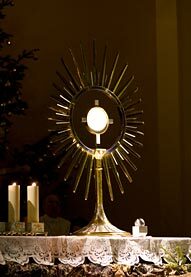 As mentioned above, the Church teaches that the Eucharist is already the reign of Jesus “in our midst.” Through our devotion to and reception of Jesus in this Most Holy Sacrament of the altar, we ourselves become the reign of Christ in the world, since we are made “one body” with Him. Furthermore, the Eucharist is the true anticipation of that unity and peace promised by Our Lady of Fatima, when her Son will reign sacramentally to the ends of the earth. 3. ↑ cf. 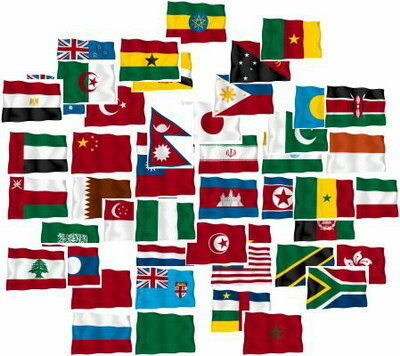 Global Revolution! 5. ↑ cf. I addressed the two sides of the debate in Possible… or Not?